Episode 2: One of the things that is undeniable about this show is that it is certainly bright and dynamic. Limitless holds your attention with it’s quick cuts and interesting style. It maintains a brisk pace throughout, never settling for the conventional way to show the audience something. It is ironic that this show is about someone on a drug as the show itself is so restless that it is almost as if the TV show is high. Or perhaps one of the creators, I don’t know who it is behind the scenes that makes Limitless so erratic but I bet they can’t sit still for very long. This show is exploring the concept of the NZT pill in a very entertaining way. It takes the premise that was set up in the movie and says: “What if we put one of these people in a Sherlock style scenario?” The writers have quite astutely realised the potential of the NZT in a scenario where the user is aiding the FBI. They represented detective work on the NZT in a really clever way. You can imagine that is exactly what it would be like if someone who can access all of their brain were working on a case. Like the different versions of himself walking around the office discussing the case. On-screen text and graphics are a must in a TV show about someone who is a genius, someone that uses 100% of their brain and can basically do anything. This is just a fun show, an easy watch, light but engrossing viewing. Some really clever techniques are used for example Brian seeing speech bubbles above people’s heads to represent that he is reading their lips. I like that although the show is overall quite light there is still a bit of darkness in there as well. It is a pretty scary idea that Eddie Morra seems very villainous and McDorman’s character is at the mercy of this dangerous and powerful individual. Watching the movie we related to this guy, even rooted for him. Now he’s a dickhead. Some of Brian’s ingenious plans are cleverly devised by the writers. I like that they are implying Finch may have been cut out for the role even without NZT. This is just someone that has been dealt a bad hand of cards and that is something that really makes you relate to the character and root for them. The soundtrack is very cool, it is very unique to this series, quite unlike the cinematic style score you will see in another TV show. Having said that it fits a spinoff of Limitless very well. There was a very compelling exchange during this episode where Brian was talking to his father who was questioning why he is so different lately. His dad actually works it out and asks him point blank if it is something to do with this designer drug. In this scene you could really tell that Brian wishes he didn’t need to use the NZT. At times this series feels very reminiscent of Good Will Hunting, which I recommend everyone watch. It is fun to watch a protagonist a character that is really clever and confident, especially if they are someone that people wouldn’t expect to be such a genius or if they are having some hard times. It is this that makes it feel so much like Good Will Hunting. Episode 3: Eddie Morra’s doctor being Finch’s father’s nurse was the perfect way to inject some jeopardy into proceedings. The writers have taken the idea of the movie and placed it into a crime show, that isn’t a criticism in fact I would say if you are going to watch a crime show it should be this one. Most crime procedurals are very generic and boring, this show is exciting and unique. This show makes you feel more intelligent by Osmosis. There were some really interesting ideas raised in episode 3. For one, if someone reacts to Brian in a certain way when he is on the NZT drug, are they reacting to the real Brian? Is it Brian achieving things, or just the drug? Can he take credit for the things he achieves when he is taking the NZT drug? The way they worked out how the rogue police officers were getting out of the country was really clever. The stuff with the double amount of exhaust fumes showing that there were two planes is extremely well thought out. 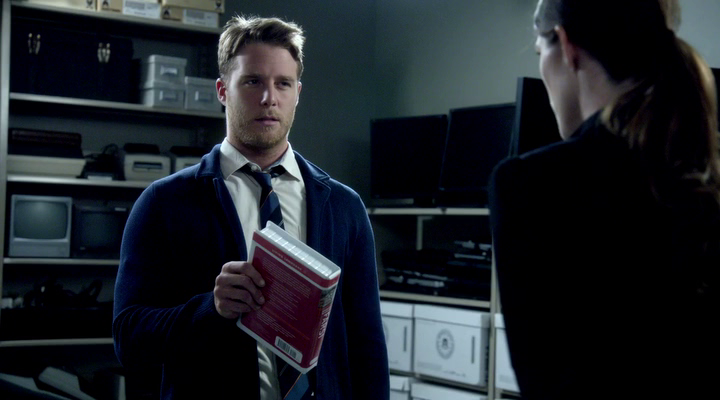 Episode 3 gave McDorman the opportunity to show his emotional range as an actor, he put on a solid performance. I am interested to see what kind of assignments Eddie Morra’s guy has for Finch, we shall see.